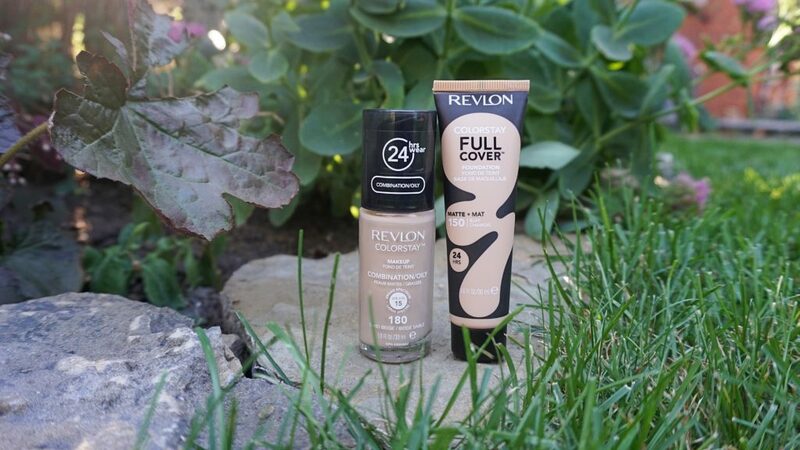 A month or so ago, I received Revlon’s newest Colorstay Full Cover Foundation. I used it twice but hated how it applied, so I never used it again. It’s been sitting at the back of my shelf behind other foundations because I didn’t think I would want to use it again (but clearly kept it in case of a foundation emergency lol!). I’ve seen quite a couple reviews posted from other bloggers saying how much they like it, so I wondered if my skin didn’t react to it nicely because it was a really hot day or my skin was dry. 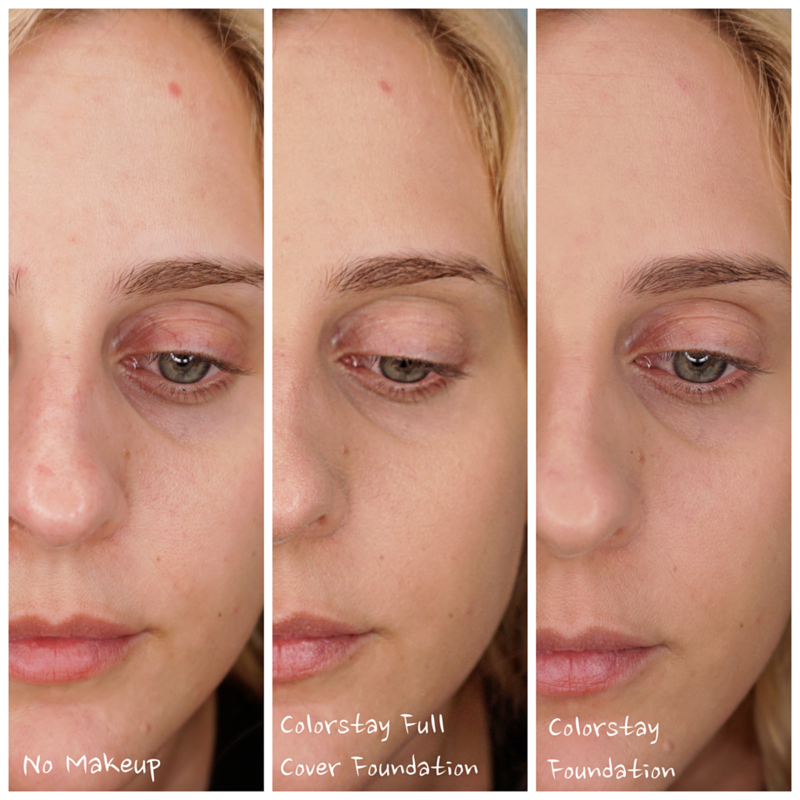 Revlon’s Colorstay Foundation is much more suited for my skin. I’ve been using this foundation over the past year, so I thought I would do a comparison between the two. 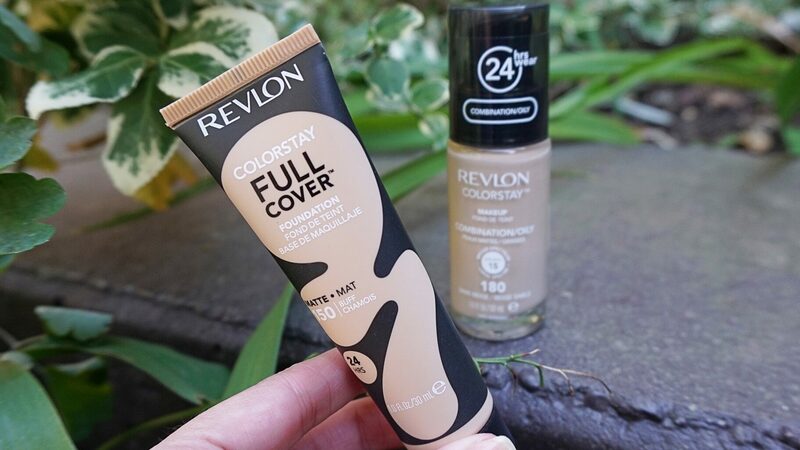 I do want to note that I wish Revlon had picked a better name for their new Colorstay Full Cover Foundation because it is very similar to their Colorstay Foundation (I honestly think the names are mixed up because I find the older foundation is more full coverage than this new one.. but keep reading!). 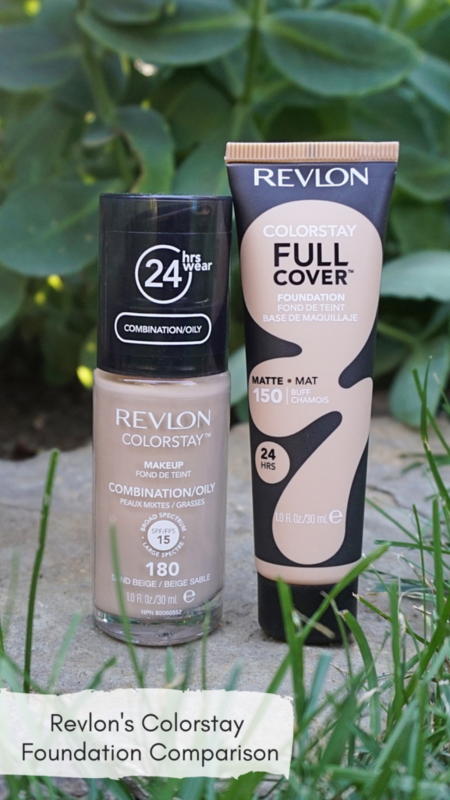 Revlon’s Colorstay Full Cover Foundation is said to provide a full coverage matte finish, which lasts up to 24 hours. The texture of this foundation is a thick mousse. I don’t know if it’s just me, but I find all foundations with this texture are never full coverage for me. I didn’t find that this foundation covered up my acne or any spots that well. I had to go over my trouble areas twice with this foundation, or even with concealer to ensure they were covered. When I first tried this foundation, I applied it with a damp beauty blender, but noticed that it was left streaky and blotchy on my skin. I tried again using a brush, but was left with even more streaks than before. I even even tried to apply it with my fingers, but it only made it less full coverage. 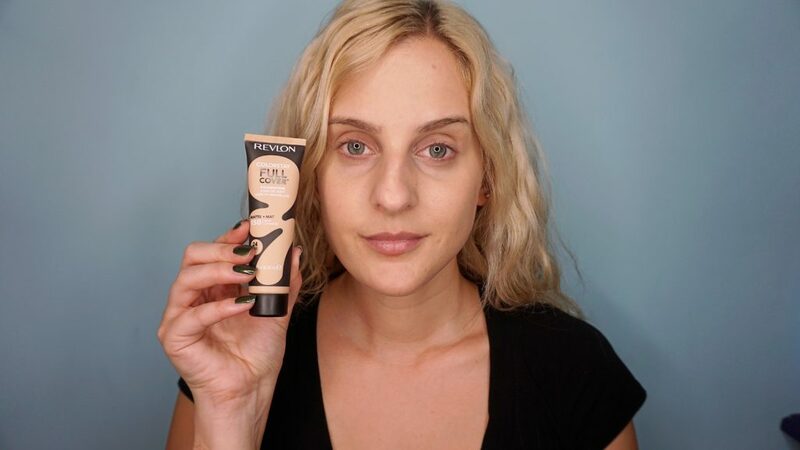 Last year, at Revlon’s #ColorStayAllDay event, I was able to get my hands on their new (at the time) Colorstay Foundation in Shade 180 – Sand Beige for Combination/Oily Skin. 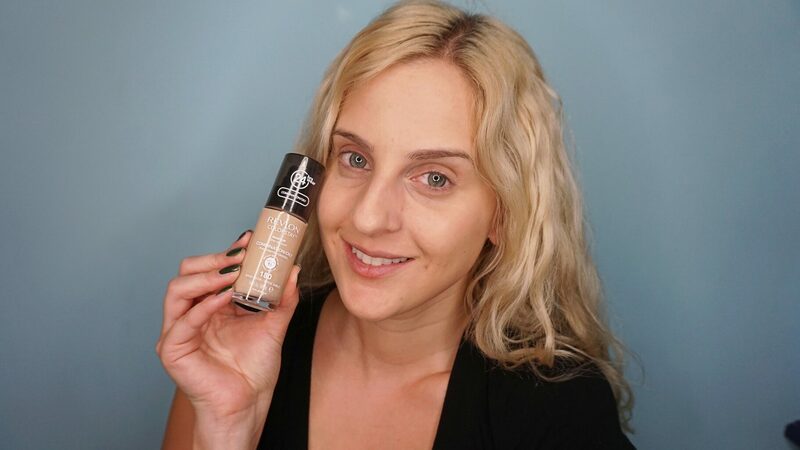 I liked this foundation so much at the time, that I did a review on it already. This foundation has a liquid consistency that comes out of a mess free pump system. It has the perfect coverage for me, and it covers up my blemishes, but also lets me use concealer on top of it without it looking cakey. I have combination skin, and I don’t find that I’m as oily as normal when wearing this. 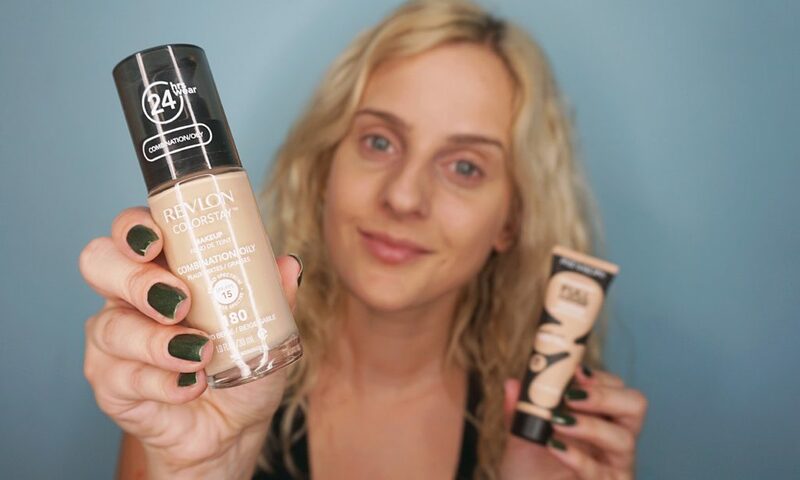 I would definitely recommend Revlon’s original Colorstay Foundation over their new Full Cover Foundation. However, it seems like a ton of bloggers love this new foundation. Perhaps it’s just a preference of the consistency and if they have any acne or spots that they’re trying to cover up.